Hi , I’m Shelley – Owner of Lime Tree Kids . I’m a mum of two and an avid online shopper. I realise that you have many places to shop and we really appreciate our customers. We wanted to have a way to reward you , our VIP customers, easily and when YOU need it not when we decide to have a sale. SO we’ve created this VIP Club for anyone and everyone to join . It’s FREE to join , easy to do and the rewards will be VERY worth it ! $10 gift voucher for each child under the age of 12 for their birthday each year - This offer will be valid for orders over $100 and can be used with your 10% off discount. Becoming a member is easy! 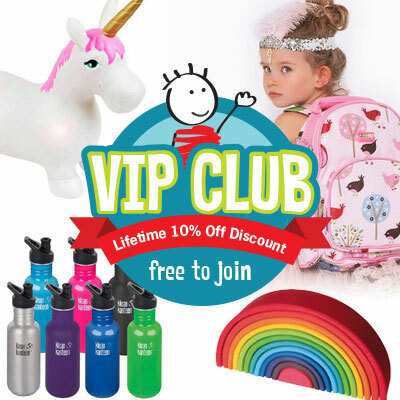 All you have to do is register as a customer below or when checking out and tick the 'join VIP club' box to get instant FREE VIP Club membership. Already have an account or previously ordered with us ? Great! You're already part of our VIP Club. To add your children's birthdays, LOGIN into your account, click on 'birthdays' and fill out their details. You can use the FREE SHIPPING over $150 offer now with your VIP discount but this does exclude bulky items and it will state that these individual products are excluded from Free shipping on their product page. Bundle packs we run from time to time will also be excluded from the VIP promo .